Embarking on the physics trip on Tuesday 12 September, 2017 was a great experience. 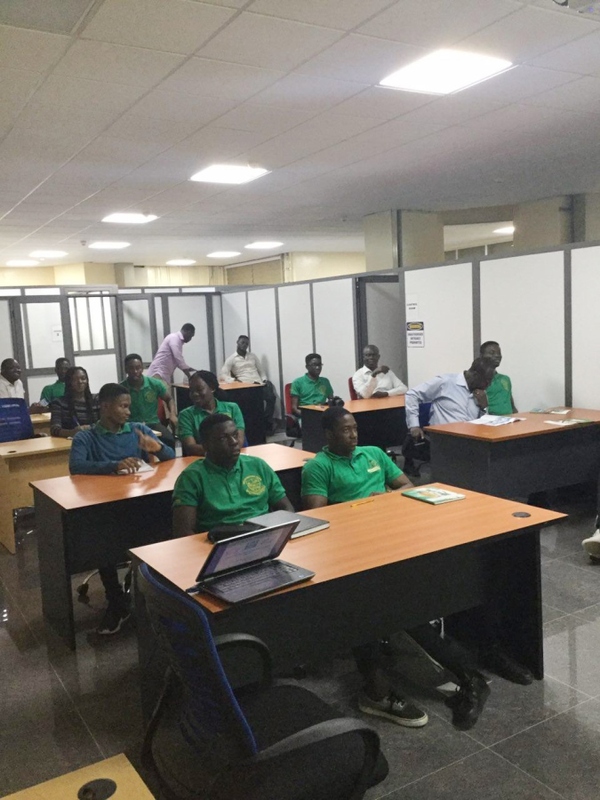 Initially, I was uncertain as to what to expect when I learnt that we were going to a radio observatory in Ghana seeing as I had never even imagined that there would be one in the country. However, when we got on site, it was a good learning experience. We met very resourceful people who spoke well about the field of Astrophysics and Astronomy and its usefulness to the world. I encourage the school to organise more of such trips for students seeing as they would benefit immensely from them. The physics trip we embarked on was very educational and insightful. We were educated on the methods used to observe radio waves at the observatory. 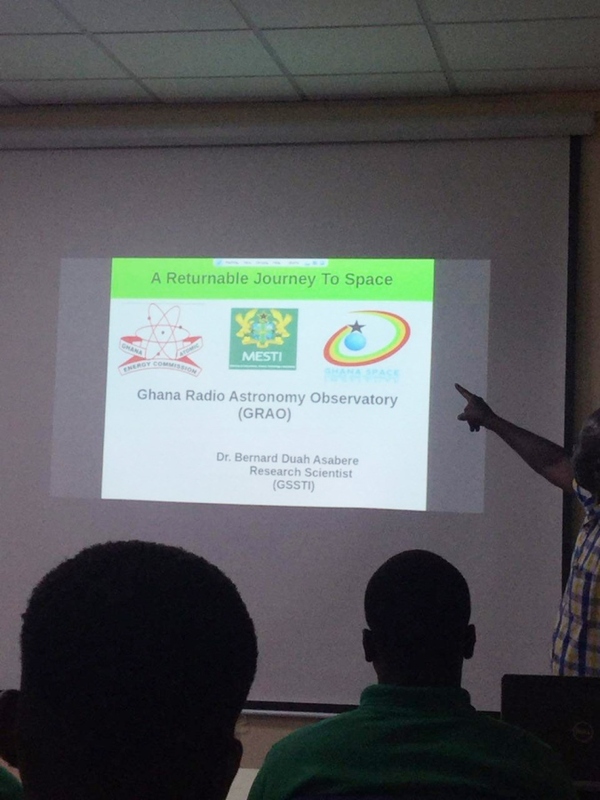 In addition, we gained insight on the link between the observation of stars and astrometry in Ghana. Other theories about celestial objects, including the sun and other planets, as well as some astrophysics concepts. All in all, the trip contributed effectively to our understanding of the electromagnetic spectrum and we got to see the land of Kutunse while we were at it. I never thought radio astronomy was so interesting. On 12 September the IB2 physics class embarked on a trip to the Ghana Radiology Astronomy Observatory in Kutunse. We learnt about the practical purpose of radio astronomy and how important it is for Ghana to invest in the sciences. It was an eye opening experience because we got to see a glimpse of what the future of space exploration will look like. Our educational physics trip was on 13September 2017 to the Ghana Radio Observatory Astronomy Kutunse, Accra. We left school at around 8:45 am and got there around 9:50. On our way there, I saw many hills and beautiful landscapes. When we got there, we waited for sometime because of improper communication between the staff so we waited a while so everything could be sorted out. We finally entered and we were explained how the telescope worked and some features like the diameter which was about 32metres and the importance of the information which was being gathered. We were also educated on some carrier opportunities and skills like data collection which could be acquired. It was a very educative and memorable experience. The trip to the observatory was an eye opening one. I always thought of Astrophysics as farfetched especially in a country struggling with some basic infrastructural problems. But as our facilitator, Proven led us through general information about the use and conversion of a redundant telecommunications dishes into a radio astronomy observation. It occurred to me that such a project will incorporate many professions and will provide a platform upon which students can learn to analyse and interpret information and hence such a project not only benefits the study of celestial objects but also benefits the nation in its entirety. 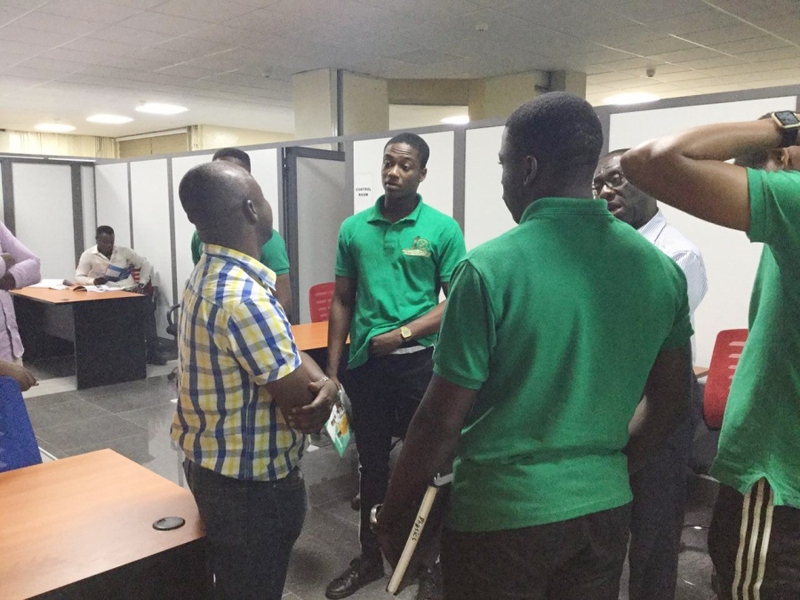 Grade 10 Geography trip to the Ghana Meteorological Services Authority.